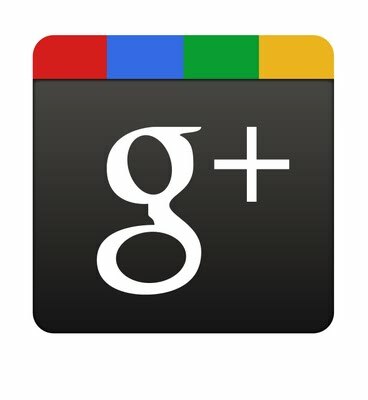 Social interaction is huge and Google has been working hard to catch up to rival Facebook. With the launch of the Google Plus One Button we have a powerful new tool that will soon allow Google users to share websites and content the same as Facebook users now do with the Like button. It Was when i was in the middle of first month as a blogger google plus came into effect to the community that was heavily influenced by the “Facebook stigma “.It’s not shocking that Google has followed suit. After all, Facebook’s Like Button was a viral marketing strike of genius. Millions of sites have since added the little blue button to their site, allowing users to not only voice their approval, but share with their dozens or even hundreds of friends in seconds. Today, you’re unlikely to find a single blog, ecommerce site, or business site without a Facebook Like button. Well coming to serious matters , marketers and search engine optimization experts are curious about how the new social product might influence organic search rankings in the future.Even before Google rolled out the +1 button, social factors from sites like Twitter and Facebook were already being baked into search engine result pages (SERPs), even if the extent of their immediate influence on Page Rank wasn't immediately obvious. 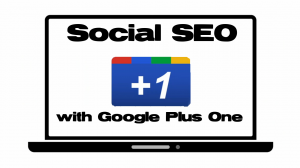 With Google Plus and the +1 button, the social activities are taking place on Google itself, so it's hard to imagine things like the number of +1 button clicks a given page gets wouldn't have an effect on that page's organic rankings. Wow! Now this is a big development. Think about it for a second. Right now, the +1 button is used just for search. If you search for “blog tips” and decide the fourth or fifth page in the search results is better than the first, you can +1 that ranking, basically telling Google “this search result is the best for this keyword”. That’s powerful and Google will gladly integrate those results into their search rankings. In fact, Matt Cutts – the head of the Web Spam division at Google – has repeatedly said in the past that they want to integrate social interaction into determining content quality. Presumably there was an issue with spam regulation, but now that the +1 button has been rolled out, it’s only a matter of time before this very social tool becomes an important part of their algorithm. After all, they track, monitor, and gather all the results from those clicks. You can bet they’ll use the data. One thing is for sure…Any smart webmaster and Internet marketer out there... will keep a close eye on these tools!! Fruitful SEO days ahead .. Lage raho !!! And Folks, if yu really like this post why don’t yu +1 It ?? Nice info! I think this new google platform is a great thing for the seo industry. It seems like just by simply +1-ing things, you can quickly spread awareness across the web about things that are important to you. Thanks for posting this info!